"I2P is a computer network layer which purpose is to allow software to securely send messages to one another." A computer network layer which is used to allow software to send messages to one another securely, I2P is free and open source software that is published under multiple licenses and is managed by a group of dedicated developers to maintain the software. It's uses include anonymous sending and receiving of web surfing, chatting, blogging, and file transferring using secure protocol. The software has been in active development in beta stage since 2003 and has been maintained by a dedicated group of developers since the same time. They are dedicated in maintaining I2P, which is an anonymous network layer which is designed to allow other applications connect through it to increase security of the content that is being sent and received by the users. 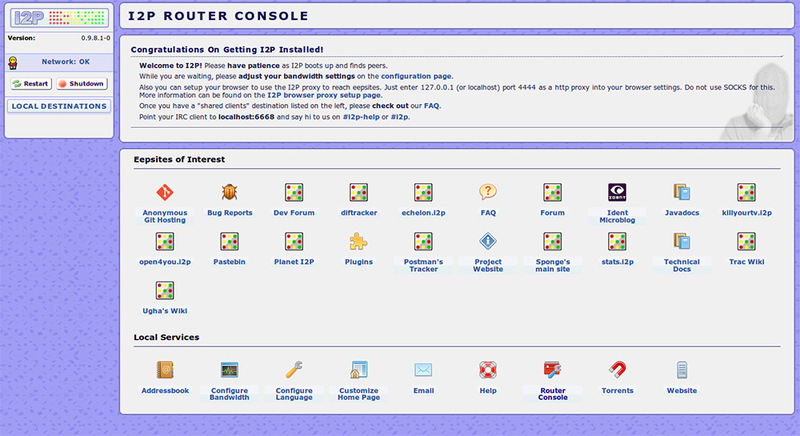 There are several applications that are included in I2P, such as I2PTunnel, which is an application embedded into I2P that allows applications to communicate over I2P through "tunnels". SAM (Simple Anonymous Messaging) which is a protocol that allows client applications to communicate over I2P using a socket-based interface to the I2P router. BOB (Basic Open Bridge) which is a less complex application to manage protocol similar to "SAM". Finally, Orchid, which is an outproxy Tor plugin for extra security. There are several file sharing opportunities through I2P for maximum security while downloading the content you want. You can connect to I2P torrents through the application, but they must only be I2P torrents using the I2P network. You can only access these specific torrents through the I2P network, which means this content is exclusive the I2P users. This ensures better security when downloading this content. There are many networking opportunties you can use I2P for to increase the security of the content you are sending and receiving. This content includes instant-messaging, publishing, and emailing. Which an extra network layer for security, I2P protects you and your content.